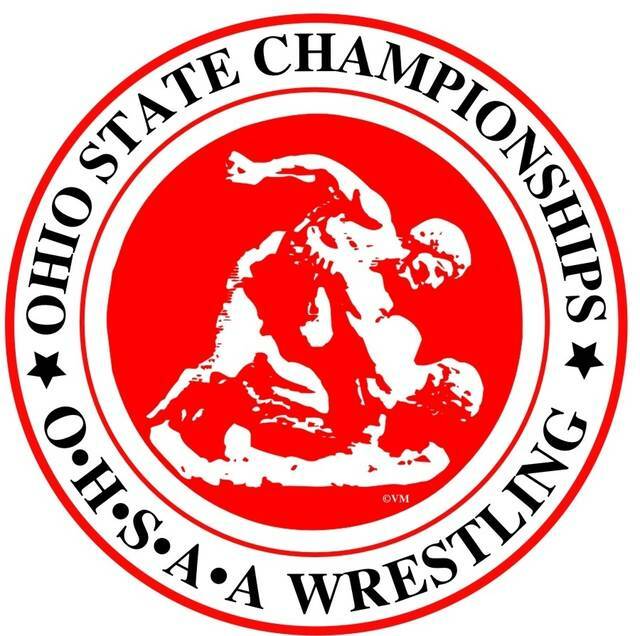 GALION — Nine local high school wrestlers — two from Galion, seven from Northmor — have qualified for the Ohio High School Athletic Association’s 80th state wrestling tournament. Action gets underway Thursday afternoon at the Schottenstein Center in Value City Arena on the campus of The Ohio State University. Qualifiers for the Tigers are Garrett Kuns at 170 pounds and Mason Weldon at 285 pounds. Kuns, a senior with a record of 34-8, will take on junior Logan Stanley of Waynedale, who is 54-1, in his first-round match; Weldon, a junior at 31-12, will take on Seth Douglas of Troy Christian, who is 34-11, in his first-round match. Northmor qualifers include Conan Becker at 138 pounds, Conor Becker at 145 pounds — both were district tournament champions — Jake Neer (120 pounds), Mason Burger (182 pounds), Aaron Kitts (132 pounds), Matthew Ross (152 pounds) and Nathan Price (195 pounds). Conan Becker, a junior, at 45-4, will face junior Zane Strubler of Casstown Miami East, who is 44-9; Conor Becker, a freshman, at 42-6, will face senior Jordan Cress of West Milton/Milton Union, who is 34-9; Neer, a senior at 36-11, will take on Senior Evan Guilford of Defiance Ayersville, who is 43-5; Burger, a senior with a record of 31-12, will take on senior Madison Jaso of Gibsonburg, who is 45-3; Kitts, a junior at 28-4, will face senior Isaac Elliot of Massilon Tuslaw, at 51-8; Ross, a senior at31-14; will face senior Nathan Rasmussen of Orwell Grand Valley, who is 36-11; and Price, a senior with a record of 30-17, will take on Junior Dylan Hinton of Bloomdale Elmwood, who is 45-4. Galion and Northmor are in Division III. Action for the Tigers and Knights starts at 3 p.m. Thursday with the Division III preliminary matches. At 7:20 p.m. Thursday the Division III consolation rounds begin. The Division III quarterfinals are at 10 a.m. Friday; the Division III consolation rounds continue at 12:15 p.m. Friday. At 6:30 p.m. the championship semifinals begin and the consolation bracket quarterfinals are at 8:50 p.m. Friday. On Saturday, the Division III quarterfinals begin at 10 a.m.; at 11 a.m. are the third- fifth- and seventh- place matches for all Divisions. At 5:15 the Hall of Fame Ceremony and the Parade of Champions begins; and at 5:45 p.m. the first- place matches for all Divisions begin. March 9: Session 1 — 3 p.m. – Division III preliminaries; 4:20 p.m. – Division II preliminaries; 5:50 p.m. – Division I preliminaries; 7:20 p.m. – Division III consolation Round 1; 8 p.m. – Division II consolation Round 1; 8:45 p.m. – Division I consolation Round 1. March 10: Session 3 — 6:30 p.m.all Divisions championship semifinals; 8:50 p.m. – all Divisions consolation quarterfinals. March 11: Session 5 — 5:15 p.m. – Hall of Fame ceremonies and Parade of Champions; 5:45 p.m. – all divisions first-place matches.